I read 38 books in 2016, 36 of them brand, spanking new… at least to me! Theses were some of my favorite reads from this year, and ones that I highly recommend to all those other avid readers out there! I try to read a few Classics each year, and this year was no different. 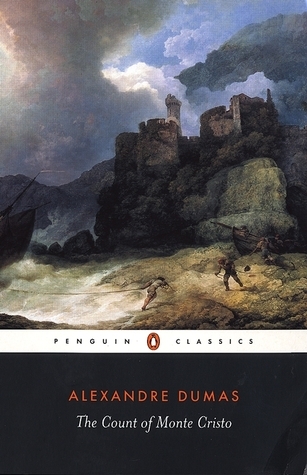 For me, the tale of Edmond Dantes is one of betrayal, incomprehensible sorrow, and ultimately revenge and retribution. He was such a real, meaty character that I could sink my hero-loving teeth into- a wronged man, imprisoned, innocent, and seeking to not just escape his current circumstance, but unearth a hidden and secret treasure, reinvent himself, and plot against the 3 men who imprisoned him all those many years ago. 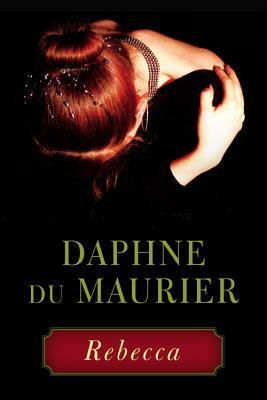 An epic tale of adventure in Dumas’ beautiful style and prose. 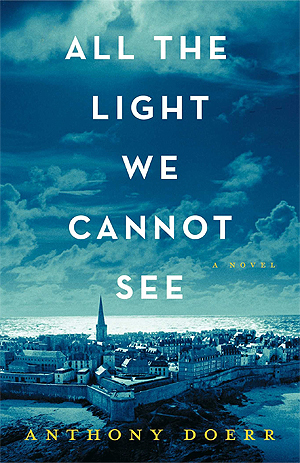 This was a book that my Mom has been talking about for 4 years now, ever since her book club read this in their very first year. And it opens with a truly famous line in literary history… “Last night I dreamt I went to Manderley again . . .” and it is really all about Manderley. The one thing that Maxim de Winter loves more than life itself and he will stop at nothing to protect it. 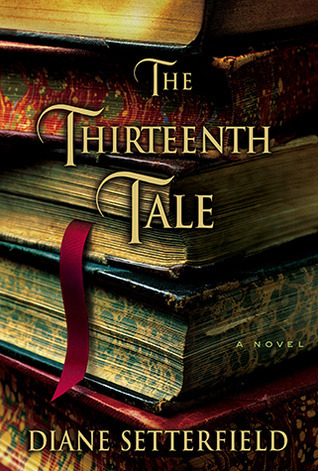 This novel was absolutely enchanting and I was spellbound from cover to cover. A literary tour de force! 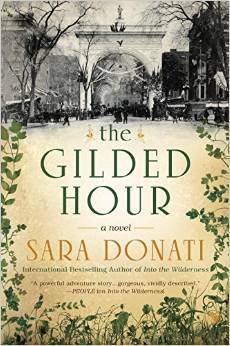 Really, really intriguing historical read. Explores the great divide between the rich on the isle of Manhattan and those living in extreme poverty in the tenements during the Gilded Age in New York City and those most faithful civil servants- particularly doctors and law enforcement- that serve both classes of people equally. I fell in love with the characters of Anna and Sophie Savard, cousins that both are female physicians at a time when females were not doctors, much less accomplished surgeons and renowned in their fields. They were so completely real, so raw, and strong, independent minds that weren’t afraid to stand up for the “little man” or woman. 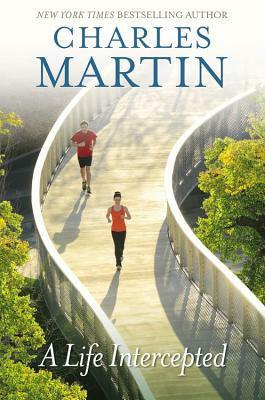 A blend of action, mystery, and romance, this book had a little bit of everything, and I for one, cannot wait for the sequel still to come. So heartwarming & inventive. Such a simple, but powerful story about the power of the people you surround yourself with. So charming! You will be in love with this grumpy, old curmudgeon from page 1. And this book blended a few of my greatest loves- football, romance, and Charles’s categorical heartbreaking prose. 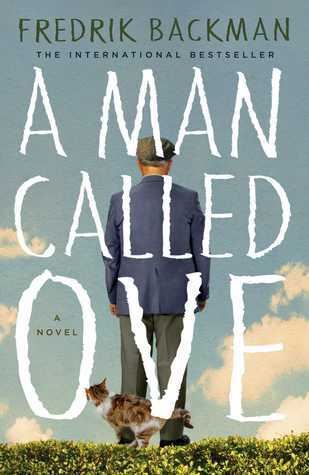 A tale of unforgettable love and forgiveness and lengths we go to achieve each. One of my favorites of his! 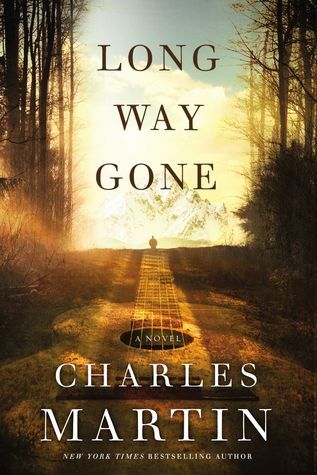 And I just closed the cover on his most recent novel, Long Way Gone and it made this heart soar with a modern-day retelling of the Prodigal Son parable. “… no gone is too far gone…” A timeless and priceless message to all our hearts. And in business, my team and I read this book this year. For me, it was a bit “doom & gloom” at certain parts painting a very negative picture of women excelling in their careers, but for the most part, I found this book to be encouraging of women choosing to pursue their careers, and not at the cost of their home life, but in strong support of women sitting at the table, reaching for new challenges, speaking up, and leaning in. 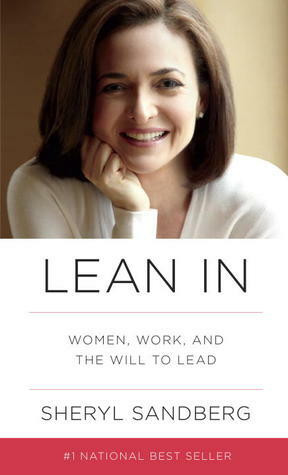 Overall, a read I would recommend for women in business, or any industry really. It challenged my thinking. I am also a fan of some religious or Christian-life non-Fiction, and this year debuted 2 of my absolutely favorites! 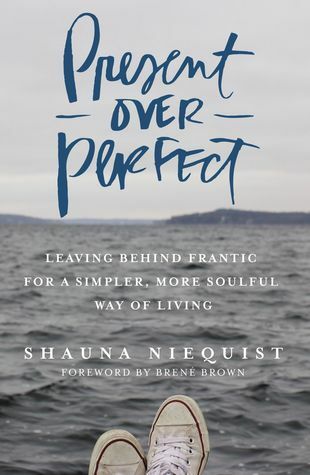 Living a life of meaning, passion, purpose, & connection instead of constantly pursuing perfection. Find a way to live, marked by grace, love, rest, and play. And, in the end, it will change everything. A book, in all truth, that I need to go back and read year over year as a healthy reminder to find my center and balance. 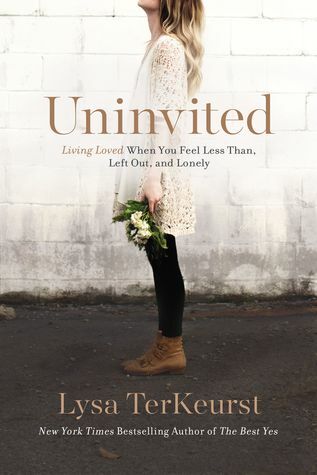 The enemy wants us to feel rejected, left out, lonely, less than, and found wanting. When we believe his lies, we allow him to undermine the purpose He has set before us, cripple our courage, and destroy our dreams. And, ultimately, will blind us to the beauty of Christ’s powerful, all-encompassing, and redeeming love. And finally, in the final category, and one I absolutely love, Cookbooks! I try to discover a few new ones to add to my home collection each year. With my health challenges this year, eating Paleo, gluten-free, dairy-free, and sugar-free, has made all the difference in my Thyroid and Adrenal issues. 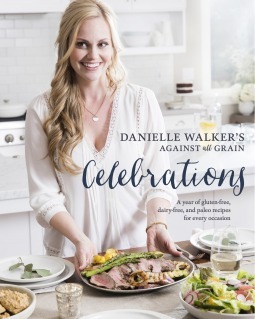 Some of my favorites from the book include her Thai Beef Lettuce Wraps, Prosciutto Apricot Glazed Shrimp, “Corn” Bread, and Grain and Gluten Free Peach Cobbler! I love a good, ooey gooey cobbler topped with vanilla frozen yogurt. And for Christmas this year, guess what was wrapped under the tree from good old Santa?!? He knows the keys to this Ina-loving heart. 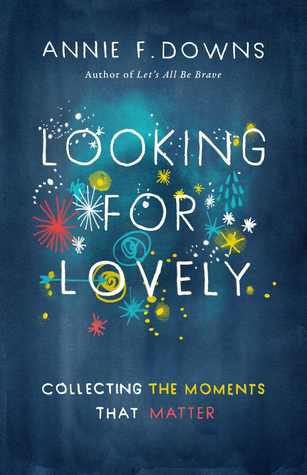 And at first flip, it was already one of my top books of the year! Her recipes are so tried and true and I trust her implicitly. 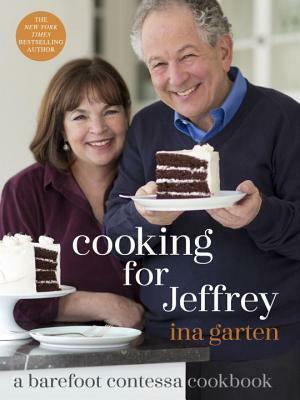 This is know as Ina’s most personal cookbook yet, and it is filled with the recipes Jeffrey and their friends request most often as well as charming stories from Ina and Jeffrey’s many years together. I love how their personality shines through every page. Recipes I cannot wait to sink my teeth into, quite literally- Skillet Roasted Lemon Chicken, Fig and Goat Cheese Bruschetta, Butternut Squash Hummus, and her Spicy Hermit Bars. Pretty sure you may see some of her recipes featured on this very blog very soon. And, on the bedside table now? Here’s to great books here in 2016 and even better ones in 2017! Have a book you loved that you think I’d enjoy too?? Leave it in the comments section below. Thanks for the recommendation!